RC Willey helps you overhaul your entertainment area with this sleek, elegant, and sophisticated 3 piece entertainment center. With slender mirrored glass panels, alternately placed between sheesham wood slats on the center unit and shelves that float seamlessly from the sides on the bookcase, this piece is not only functional but it looks amazing too! 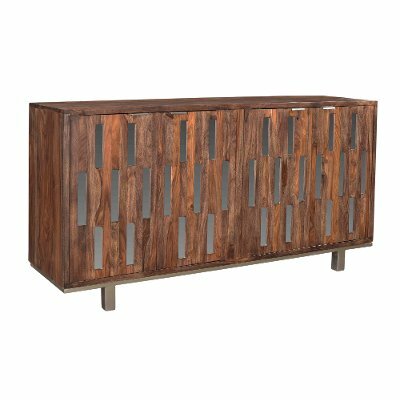 Organize your entertainment pieces today with this piece from RC Willey and start loving your TV time again. Available at RC Willey is this sleek, elegant, and sophisticated 59 inch four door medium brown TV stand. Slender mirrored glass panels are alternately placed between sheesham wood slats giving added light and depth to the front of the case. The natural beauty of the wood grain is brought out with the brownstone nut brown finish. You will find the inside storage space has cord management access and shelving, allowing you to easily organize and store your media devices and more. This stunning case is perched atop a silver metal platform base adding just the right finishing touch to the look. Perfect for use as a sideboard or as a media center. 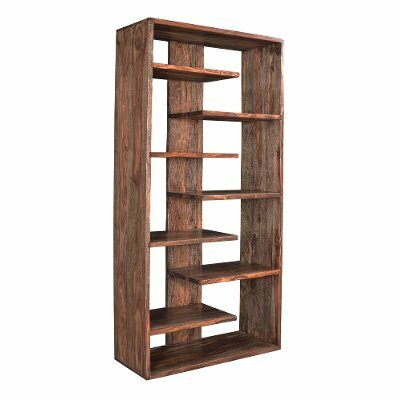 You will love everything about this medium brown bookcase from RC Willey from its towering height, offset shelving, and rich Brownstone finish. Constructed of solid Sheesham with our Brownstone Nut brown finish that brings out the natural beauty of the wood grain. 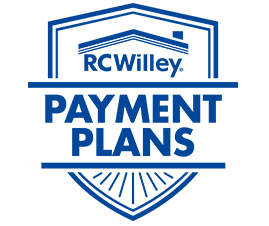 The shelves float seamlessly from the sides alternating between the right and left. These cases are designed to stand alone or purchase several and put them together to create a wall unit.